Every love story is unique, and when you are finally committing for an engagement or a wedding, you would also want a unique experience. This is where a custom-designed engagement ring can shine bright with your unique individuality. After all, you will wear this ring every day, and you would want something you truly cherish and adore. Here, we will discuss everything you need to know about designing a custom engagement ring, from the design process and the do’s and don’ts. 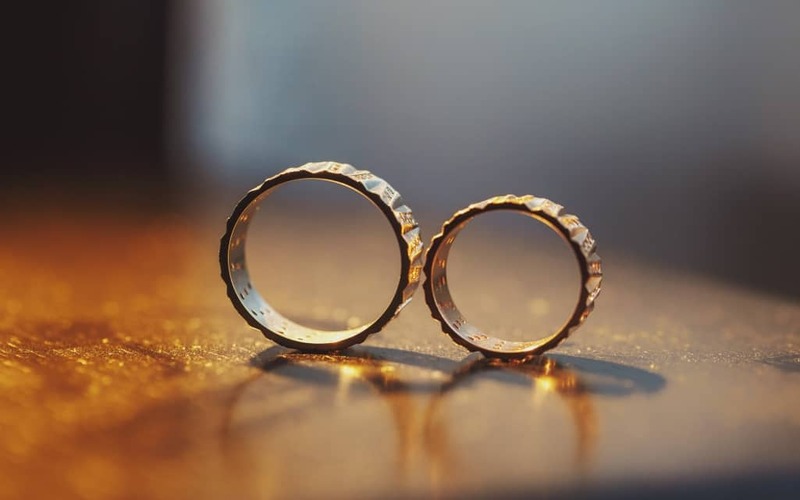 First, however, let us begin by discussing the advantages and disadvantages of having a custom-designed ring instead of purchasing a ready-made one. It can be significantly more expensive compared to a non-custom ring of the same quality. Obviously this will depend on the complexity of the design, the materials used, the quality of the jewelers, and many other factors. However, as mentioned you will have more control over this compared to buying a non-custom ring. Creating a custom-designed engagement ring will require more involvement on your end, compared to simply purchasing a non-custom ring in a store. Expect to invest some time for meetings and phone calls with the jeweler. Designing a custom ring can take a long time, depending on the ring’s complexity and the jeweler. You can expect at least several months before you can touch the finished ring. Again, this might demand your involvement and collaboration during the process. So, to summarize, you will need to invest more time —and quite possibly, money— for a custom-designed ring. However, you will get a more unique and personalized ring where you can control the quality and design. Every design begins with a single idea. With regards to designing an engagement ring, the idea can come from yourself, your spouse, your friends and family members, or even the jeweler. So, start by asking yourself several key preliminary questions: Do you have an idea of the ring you want? Do you have any inspirations or any existing rings you would want to follow? Remember, simply wanting the ring to be “something unique” won’t always cut it. You would want at least a rough picture of the design, which will help a lot when you finally meet your jeweler. Sketch out this idea as best as you can. Or, if you have pictures of the ring(s) you would take as an inspiration, compile them together. This process will also help in choosing your jeweler, as jewelers usually have their specialty and expertise over certain style/material/design than the others. The more specific you are with this step, the higher the chance you’ll end up with what you really want. Once you have your idea of the custom-designed ring it’s time to find the right jeweler for you. Obviously, you would want to find a jeweler who accepts custom-design service, and with a good reputation in this field. If you already have a jeweler you know, and trust, this is a good place to start. Also, ask around for recommendations from friends and family members. Nowadays, you can always check the internet for online reviews, testimonies, and pictures of their previous works, which can tremendously help in this process. When you finally make a visit to a jeweler, ask to see their previous custom-design rings. This is done for mainly two purposes: check the quality of their work, and recognize any unique design elements of the jeweler. Remember that most jewelers will add their own touches to your idea, so you would want to make sure you like the design elements of their previous works. Remember that the engagement ring is not a cheap product, and so you would want to protect yourself as much as you can during this purchase. Make sure to review guarantees and warranties, and make sure every detail are mentioned in writing: the finalized price, the available guarantees, the materials, the size of the diamond stone(s) and quantity, other design elements, payment terms, and so on. If necessary and if possible, don’t forget to insure the ring. You have both an idea (even better, a sketch) and a chosen jeweler. Now, it’s time to get the project underway. The first thing to keep in mind is that although speaking to an experienced designer can be intimidating, remember that it is ultimately, your ring—a once in a lifetime thing—.Don’t be intimidated and speak out your voice, ask the necessary questions, and mention your concerns. A good jewelry designer will treat you with respect and will listen to your concerns. Usually, the jewelry designer will provide a design mock-up, whether in the illustrated image, computerized Image (CAD or 3D images), or even a wax mock-up. Review this design accordingly. Again, don’t be afraid to ask for revisions and voice out your concerns. Also, review all the elements from metal materials, the stone(s), and other design elements. While a custom-designed engagement ring can be pricey, you would get a lot for your money than buying a non-custom one. This is due to the fact that you can control the design process, choose the materials, number (and quality) of stones, and other design elements according to your budget. Arguably, however, the true value of a custom engagement ring from Linara is its uniqueness. You will get a one-of-a-kind ring that you can truly love, which will reflect your unique personality and love story.